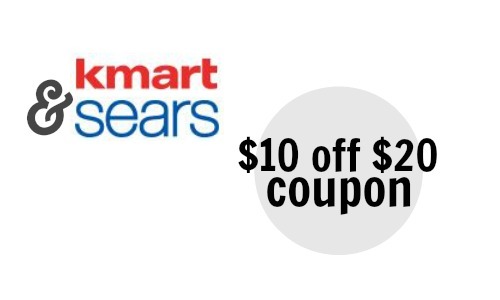 If you’ve had your eye on something from Sears or Kmart, here’s a coupon for you! Text the word THANKS for 73277 to get a unique code that’s good for $10 off your $20 purchase. The coupon code you’ll receive is only valid online at Sears.com or Kmart.com and there are some exclusions (like clearance and more), so check the details before you use it. The coupon is valid through 5/3.